ChemDry Austyle: Carpet Cleaning Dry 1-2 hours. We are an independently owned and operated family business – we do not use subcontractors. Our business prides itself on the long term relationships we have nurtured with our clients and we endeavour to use our expertise, best business practices and quality service to be the only service you need. Our technicians are trained, accredited & insured professionals each with over 26 years’ experience within the Chem-Dry system. 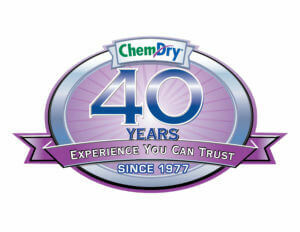 Chem-Dry is a revolutionary carpet cleaning process. Our patented Green Certified cleaning product The Natural ™ contains millions of tiny, effervescent bubbles which penetrate the carpet fiber, dissolve dirt and stains quickly and act as tiny propellants that actually lift dirt to the surface. The Chem-Dry cleaning process gives carpets a powerful, natural clean, without the use of excessive water and carpets are dry in 1 – 2 hours. Servicing Western Sydney, Hawkesbury, Blue Mountains, Hills District, Northern Sydney, Upper North Shore, Merrylands to Abbotsbury, Parramatta to Penrith & Northern Beaches / Manly Warringah. Chem-Dry’s unique cleaning process gives carpets a powerful clean without the use of excessive water and carpets are dry in 1-2 hours. The process is ideal for the chemically sensitive and it won’t leave a dirt attracting residue so carpets stay cleaner for longer. Chem-Dry’s revolutionary carbonated cleaning solution ‘The Natural’ ™ provides a safe and thorough cleaning and doesn’t contain any soapy dirt-attracting residues so your furnishings will stay cleaner for longer. Chem-Dry leather care products are safe and effective for leather and have been endorsed by more than 300 tanneries & manufacturers! Thank you so much Amanda and Nathan. The result is so much better than we anticipated. and Thank you for fitting me in, I really appreciate it. Highly recommended. The Chem-Dry people were polite and courteous, on time and did their job with no fuss. Ball point pen ink was removed by using their spot cleaner which is the only spot cleaner that really removes most stains. I would highly recommend them to anybody who asked my opinion of them. Thank you so very much for the brilliant job on my carpets and lounges. As you saw, they were in quite a bad state. But as promised, you had them looking like new again. We really appreciated your prompt service and that you took the time to explain everything to us. Quality customer service like you provided is sadly lacking these days, so it's great to know that there are people like you that actually do care! Highly recommend Chem-Dry Austyle - was going to throw out some rugs in my children's playroom as totally thought they were beyond repair with paint stains, texta stains etc and Nathan managed to get them looking like new again! 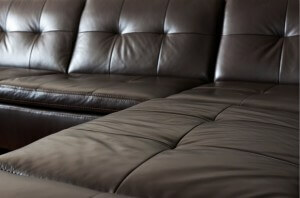 Our couch too looks fantastic and best of all it was done quickly, professionally and dried in no time. Will definitely use their services again. Chem-Dry Austyle sell a range of home care products designed to keep carpet, fabric & upholstery in great shape between professional cleans. We also deliver to you!